Between the snow that started earlier this week (and the extremely cold temps we will be having in Minnesota for the next several months) and the upcoming arrival of baby boy #2 any day now, I am more concerned about keeping Skyler well entertained and not plopping him down in front of a screen to pass the time. We love the occasional episode of Daniel Tiger's Neighborhood and some educational iPad apps, but I want to make sure that I am still providing Skyler with a variety of learning activities at a time where we will be cooped up at home and with a new baby that will require a lot of attention. The timing could not be more perfect for the book I am reviewing today! When I found out that Asia of Fun at Home with Kids was working on her first book, I couldn't wait to get my hands on it!! 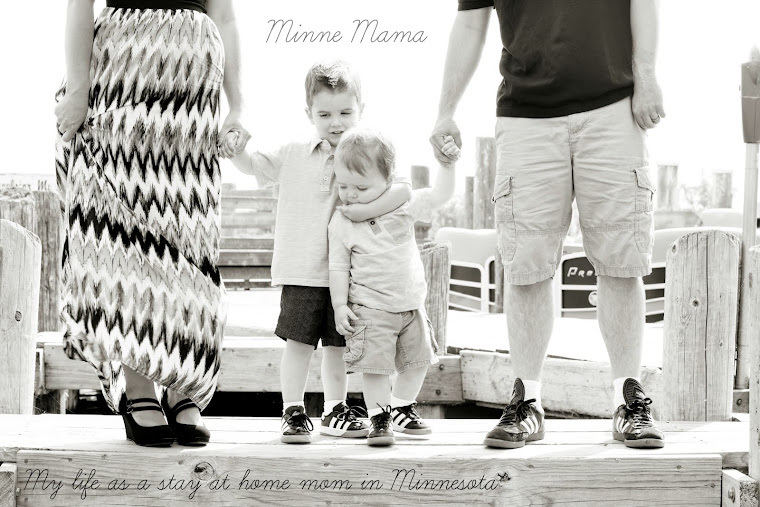 I have been a huge fan of Asia and her incredible blog since she started and have been so happy to get to know her since starting Minne-Mama. Her simple hands-on activities are appealing to kids of all ages and every single thing she posts is SO fun! 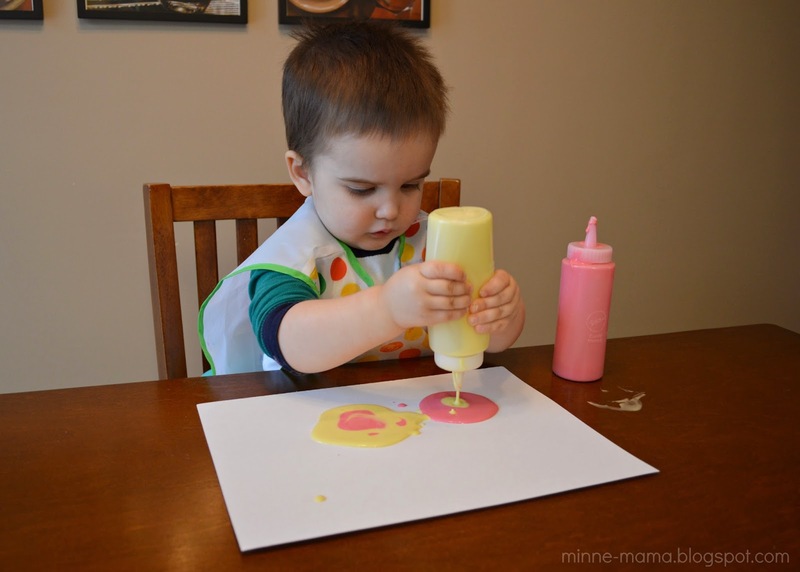 Skyler and I frequently do the activities and crafts that she posts, and I have many of her other posts on my must-try list (my Pinterest is proof of that!) Well, the wait is over, the book is out and it is AMAZING! 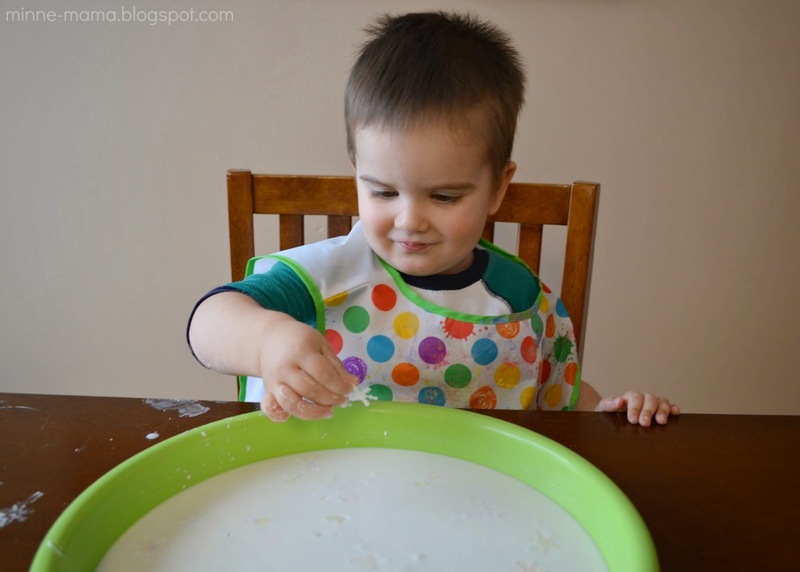 Many of the activities I have been dying to try are included such as Moonsand, Baked Cotton Balls, Crystallizing Watercolors, Soap Foam, Dirt and Worms, and every single small world activity. You have got to check them all out - the coolest! 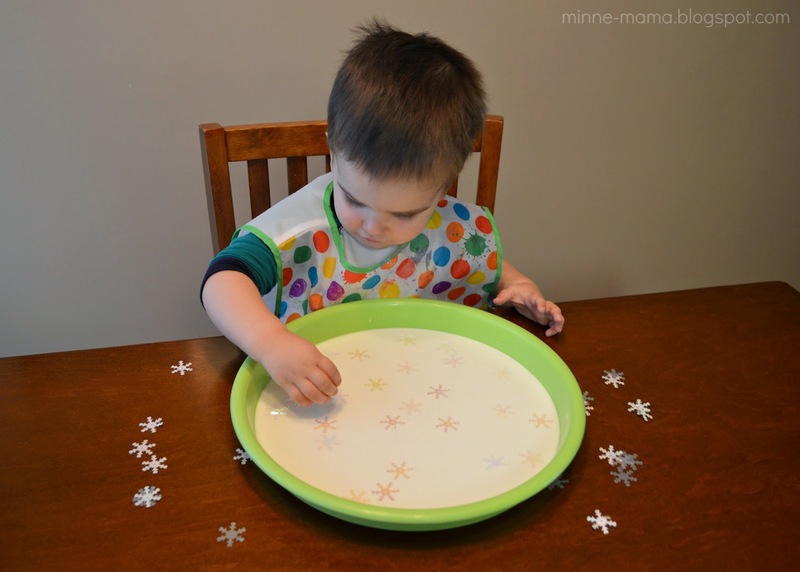 We did two activities from the book on Monday when we had our first snowfall. 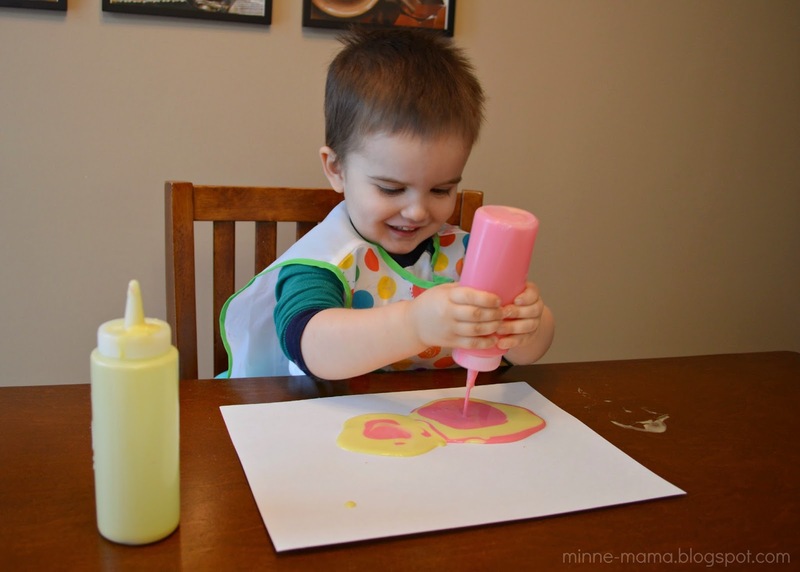 We started with the recipe for Magic Expanding Paint and it was a HUGE hit with Skyler. He started off by making small dots, but after I mentioned the word "squeeze" he filled page after page with awesome puddles of paint. His favorite way to create was by making a circle with one color, filling the center with another color, and switching off until his page was full. Seriously, this recipe was so quick to put together and we spent the next half hour talking, laughing, and creating some beautiful pieces of art! This activity is going to become very popular at our house - just look at the joy on Skyler's face! 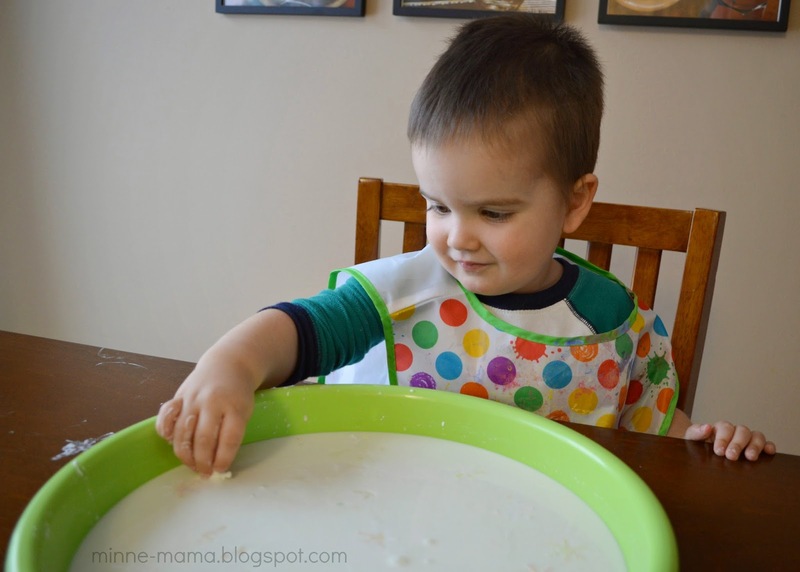 We also tried Oobleck for the first time! 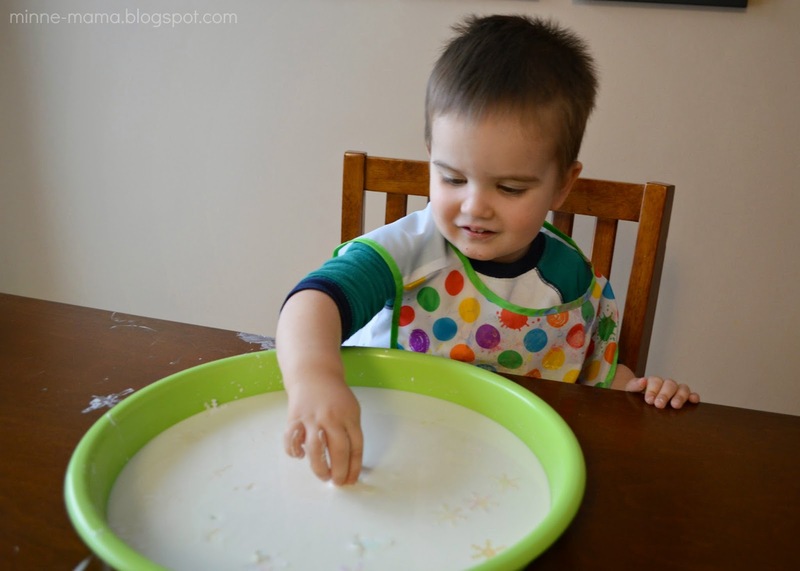 Going along with our snowy morning, we kept with the Plain Oobleck from the book, and then Skyler added snowflake sequins to play with. I wasn't sure how this would go since Skyler is not really into slimy sensory play. 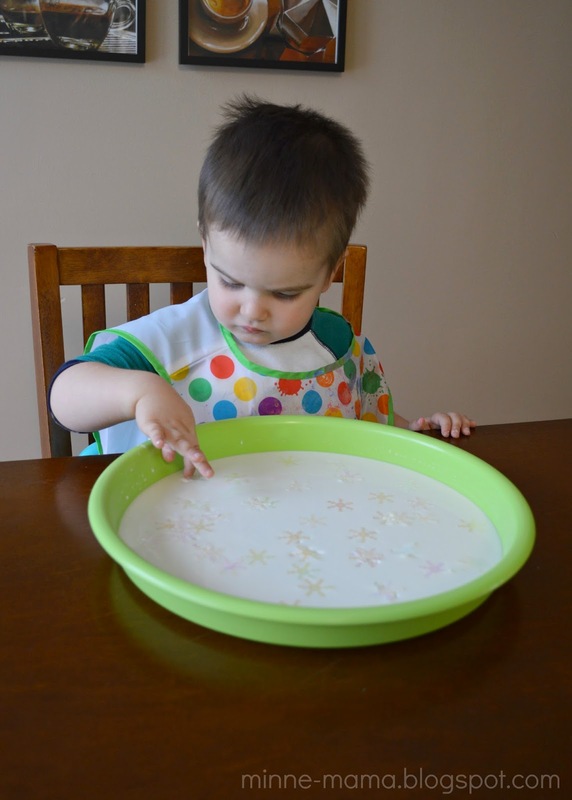 With some manipulation, the sequins started dropping down into the Oobleck, so I told Skyler we had to play peek-a-boo for them. That caught his attention, and my little man who is not a fan of gooey stuff was on a mission to find snowflakes! He still didn't love it, but it was a start. 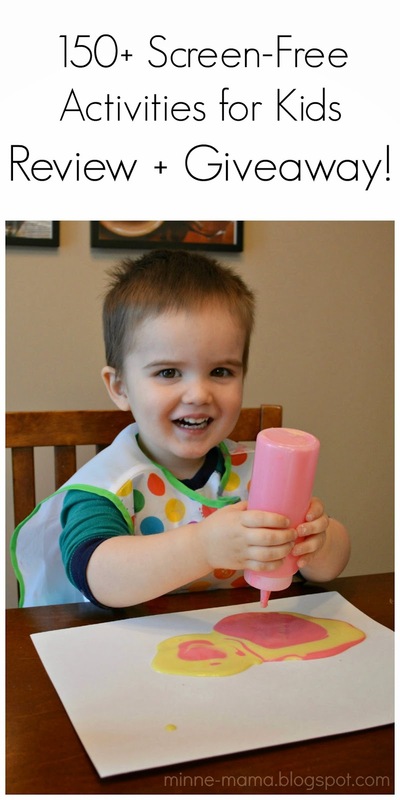 There were smiles :) I will definitely continue to use this activity with Skyler. We also made the PomPom Shooter from the book which was a ton of fun! 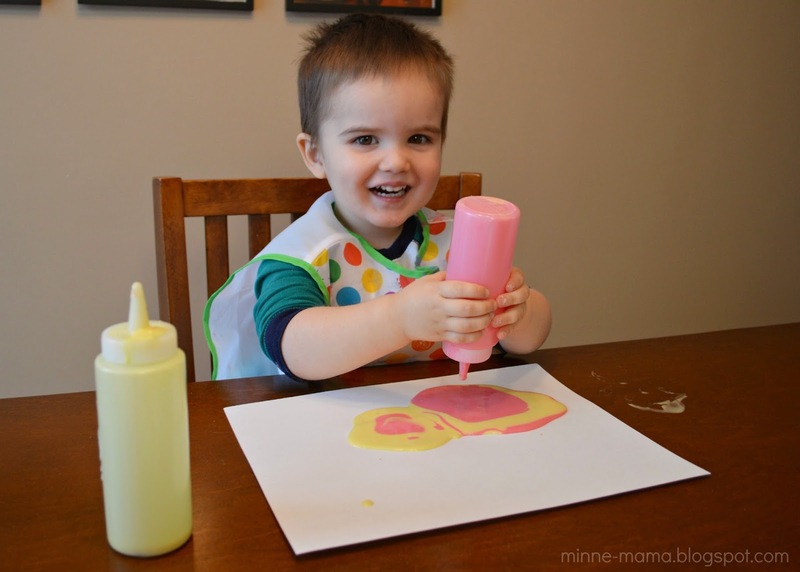 The next two up for us are the Flax Goo from the slimes section and the Banana Playdough. Both things we have all the ingredients for at home and I think Skyler will love them both! 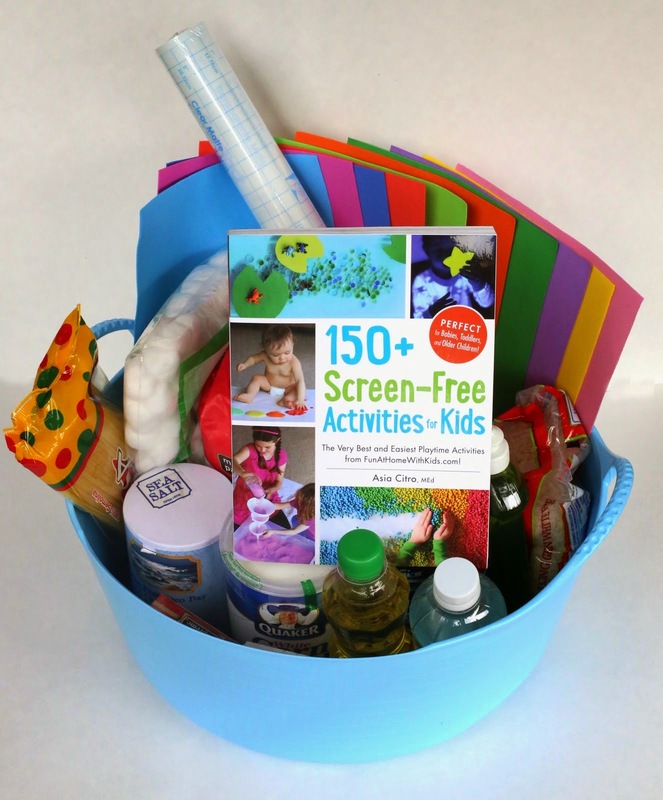 I am planning on buying a stockpile of 150+ Screen-Free Activities for Kids to give as Christmas, birthday, and 'just because' gifts for everyone I know that has a child baby to school-aged. 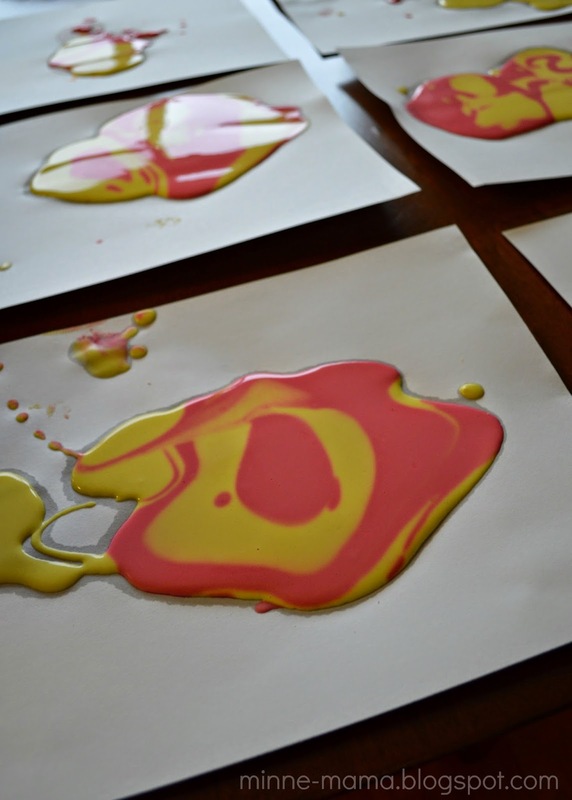 For an extra special gift to give, check out Asia's post for including the book with this DIY sensory kit! 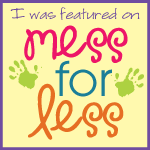 I could keep gushing about the book - how great it describes ways to manage messy play (something I thought I would avoid as a mom because I hate to make a mess! ), how clearly labeled each activity is with any potential allergens, or the huge amount of variations included - but really, you have to check it out for yourself! I was asked by Asia to be a part of her online book tour and was given a copy of the book 150+ Screen-Free Activities for Kids by the publisher in exchange for my honest review.